Images unless otherwise noted by Kuna Photography. The nine students in this graduating class were responsible for obtaining sponsorship funding, selection of a charity and donations for the gift card table and silent auction. They are also responsible for all aspects of production from concept to execution including staging, set elements and promotional materials. For I IV II, the setting was a very eccentric garden dinner party. Down the centre of the runway was a long table beautifully laid out to represent the garden party theme with decorations such as a candelabra, a cake and an abundance of handmade flowers scattered strategically. The evening began with mixing, mingling, perhaps a drink and perusing the silent auction table. Next our emcee - Harald Veerman - took the stage in a true Mad Hatter Style top hat. First in order were awards announced for students in various programs including hair, make-up and aesthetics. Then Deborah Grimm from the Looking Glass Foundation - beneficiary of the evening's fundraising efforts - shared about her personal journey with her daughter's eating disorder and the work the organization has done to bring treatment options to British Columbia. In the past there was nothing local available. Last we were treated to the runway show. Opening the show were spring dresses and gowns designed by student Mark Abenir with a palette of white and pastel. 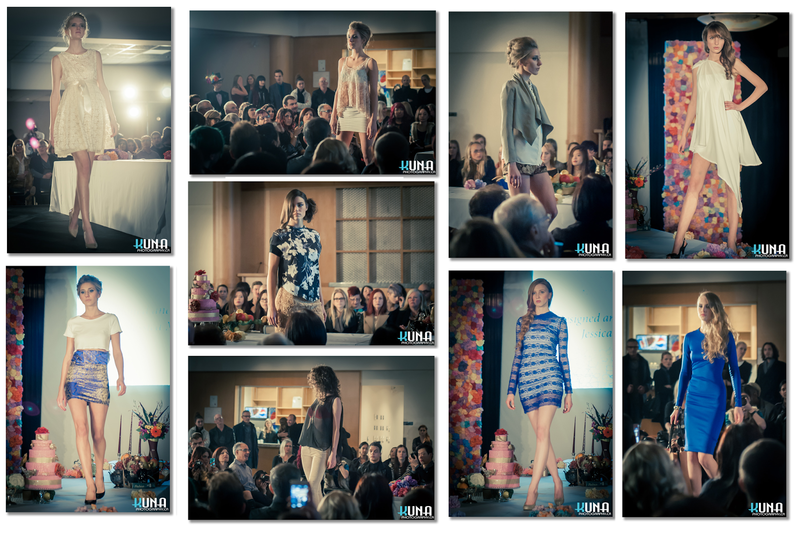 Next came several segments where local retailers garments were styled by students from this class. Closing the show was a street style collection designed by Jessica Moneo. In early shows, the models entered from one side, walked along one side of the table, posed at the front and then left walking up the other side. Later shows had the models walking bravely down the centre of the table. A great effect. 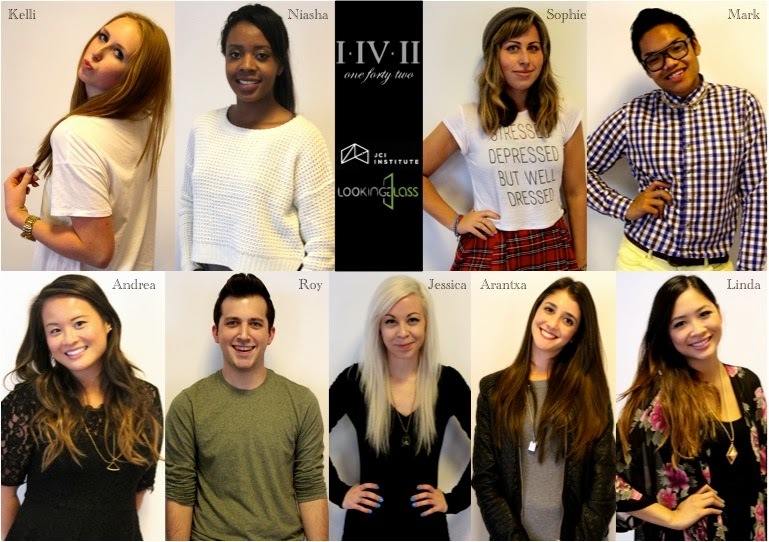 Below are just a few of the looks these student offered up. 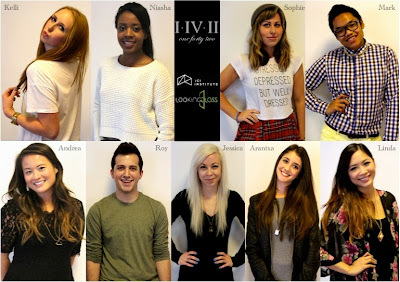 For more information on the programs offered at John Casablancas go to http://www.jcinstitute.com/.